The BRE Centre for Fire Safety Engineering at the University of Edinburgh has held two-day Symposium, with technical talks on a variety of relevant issues culminated in a celebratory dinner on the evening of Thursday 15th for the presenation of the 11th annual Rasbash Medal. Following questions, the Rasbash Medal was presented to Dr John de Ris of FM Global on behalf of the IFE by Martin Shipp, IFE Registrants Group Board Director. John L. de Ris received his B.E.E. in Electrical Engineering at Cornell University and his M.A. and Ph.D. in Applied Math at Harvard University, working on flame spread under Prof. Howard Emmons. He began his career at FM Global in 1966 as Senior Research Scientist. In 1975 he was named Manager of the Basic Research Department. In 1986, he chose to return to an active research scientist career, as Principle Research Scientist. He currently is Assistant Vice President of FM Global. 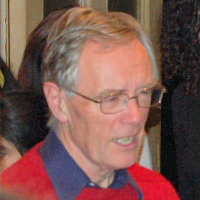 John de Ris has authored or coauthored numerous publications dealing with aspects of fire research including: physical and theoretical modeling of fires, flame heat transfer, fire spread, wall burning, pool fires, laminar and turbulent combustion, flame radiation, as well as soot formation and oxidation. He won the Combustion Institute’s Silver Medal and was named as the 1984 Emmons Lecturer for the National Bureau of Standards (NBS) Annual Conference on Fire Research. He has served on many national committees including chairing both a NBS Fire Research Evaluation Panel and more recently a NIST Fire Research Evaluation Panel and a NASA technical review panel on microgravity. 2014 is the 40th anniversary of the start of Fire Safety Engineering at the University of Edinburgh. After various ups and downs, since 2004 this has been the BRE Centre for Fire Safety Engineering, one of the Centres of Excellence supported by the BRE Trust. The Centre is also supported by Arup, the Ove Arup Foundation, and IFIC Forensics. The audience comprised around 150 of the Centre’s alumni (going back to 1974), along with sponsors and delegates who have been involved in the Centre’s activities during the past four decades, many of whom are highly regarded in the fire world. Following the opening introductions by Dr Dougal Drysdale (pictured), the Symposium started with the IFE’s Annual Rasbash Lecture given by winner Dr de Ris of FM Global. Dr de Ris is well known for his important fire research work on the physical and theoretical modeling of fires, flame heat transfer and related topics. His Rasbash lecture looked at the theoretical modelling of pool flames and set the tone for the Symposium. The Rasbash Medal was introduced in 2003 and is presented each year for outstanding contribution to fire engineering research and learning. The award was created to honour the late David Rasbash who was a pioneer in the field of Fire Safety Engineering. Recipients of the Rasbash Award are chosen based on their eminence in fire safety engineering education, research and practice, worldwide.